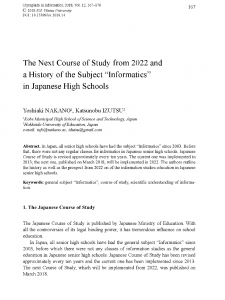 In Japan, all senior high schools have had the subject `Informatics’ since 2003. Before that, there were not any regular classes for informatics in Japanese senior high schools. Japanese Course of Study is revised approximately every ten years. The current one was implemented in 2013; the next one, published on March 2018, will be implemented in 2022. 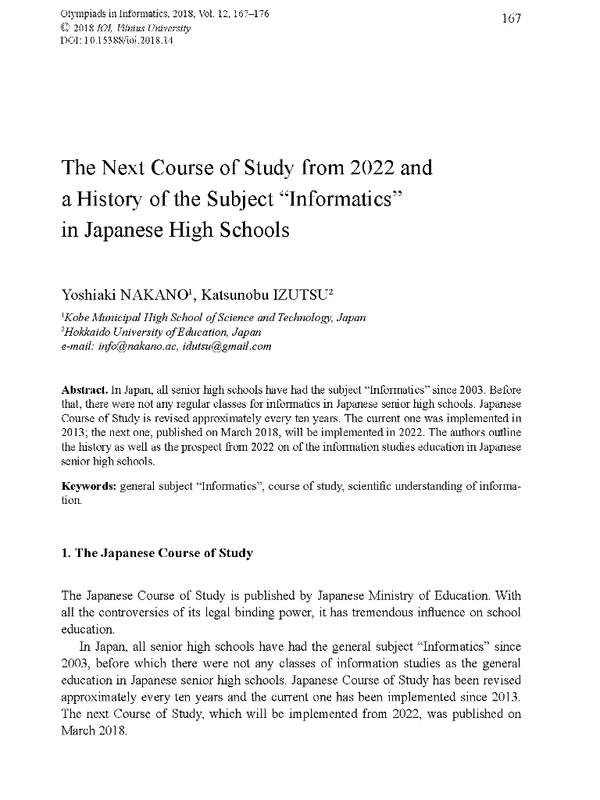 The authors outline the history as well as the prospect from 2022 on of the information studies education in Japanese senior high schools. Olympiads in Informatics，Vol. 12, pp.167-176 (2018).